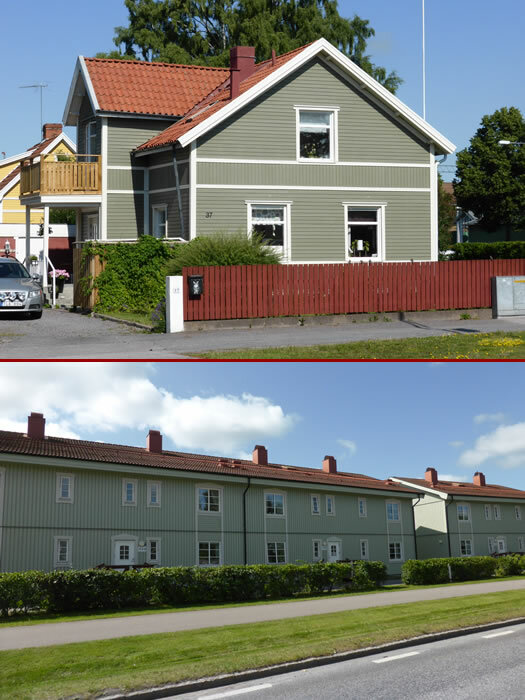 These are fairly typical of the houses in the villages we pass through, as we drive north through Kalmar County. Sunshine is important to the Swedes and even in winter Swedish homes are light and airy. They are mostly built from wood but with great insulation.